Next generation sequencing can identify target genes in only 20%-40% patients who can benefit from targeted cancer drugs. Normally, other 60%-80% of cancer patients would not be able to benefit from the sequencing results in finding personalized cancer drug treatment. 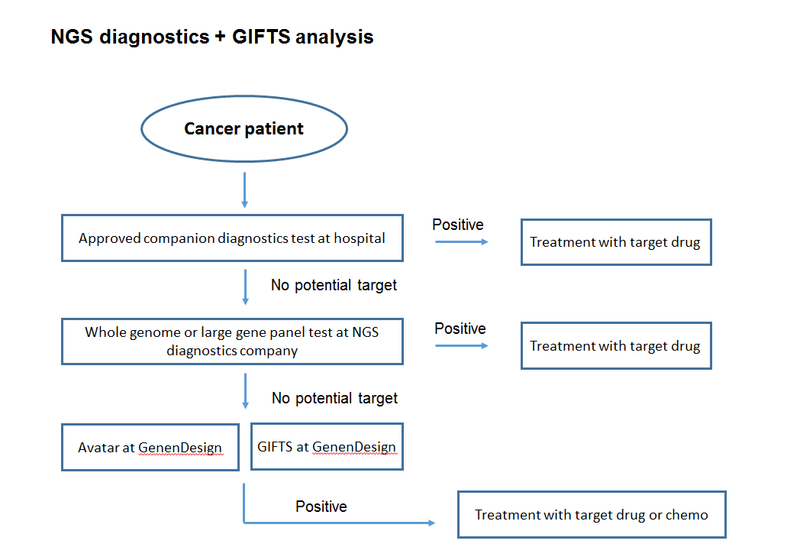 By combining NGS results with GIFTS analysis, most of those remaining 60%-80% of patients will also be able to find treatments.